Python is a very popular programming language that can be used for creating websites, games, scientific software, graphics, and much, much more. This language is a great choice for beginners and experienced developers alike. Python 3 is the most current version of the language and is considered to be the future of Python. 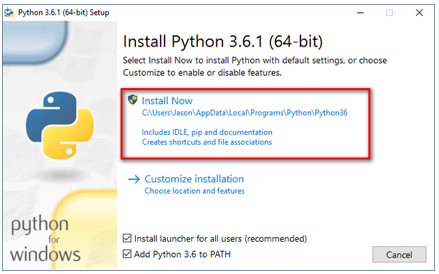 This section covers the basics of how to install Python packages. Python is available on a wide variety of platforms including Linux, Windows, Mac OS etc. Python comes preinstalled on most Unix and Unix-like systems, such as Linux, OS X, and FreeBSD. So, there's a good chance that you already have Python on your operating system . If so, you do not need to install or configure anything else to use Python. First of all check that you don't already have Python installed by entering python in a command line window. If you see a response from a Python interpreter it will include a version number in its initial display. 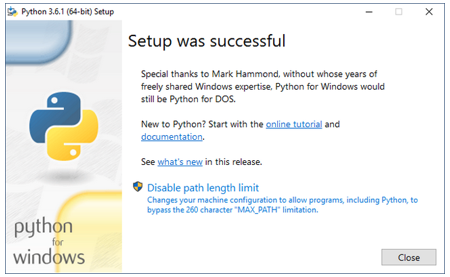 On Microsoft Windows, a Python installer is available at the Python Download website. If you need to install Python, you may as well download the most recent stable version. You need to download only the binary code applicable for your platform and install Python. Visit https://www.python.org/downloads/ and download the latest version. The installation is just like any other Windows-based software. Run the downloaded file. This brings up the Python install wizard, which is really easy to use. Just accept the default settings, wait until the install is finished, and you are done. Open a command prompt window (press Windows+R, type in cmd, and hit enter). Just type "python" on the command line and see if you get an error or not. If you see a response from a Python interpreter it will include a version number in its initial display. Success, now you can start programming on Python . What are the important features of Python?